things that make me happy! : Lak Cookout! Lak's newfound interest's cooking and she's been cooking up a storm. Always see pictures of her foodies on her facebook and blog but never tasted it. 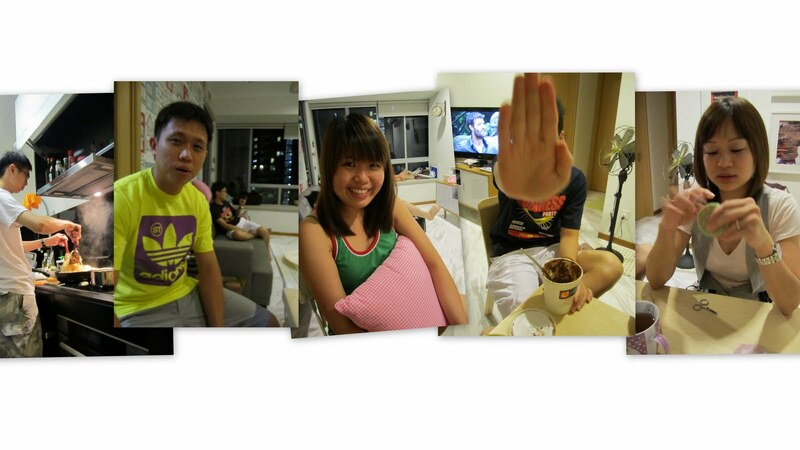 So finally, last friday, we went over to hang out at her place with her foodies. There was pizza, wings and luncheon meat pasta. It was kinda rush for her to cook these cuz she had to work but by 9, we were all ready to dig in ! 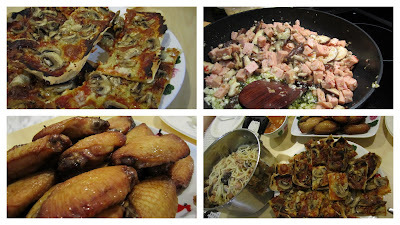 And my fave were the wings! They were marinated nicely and very juicy! Yumz!! i wanna eat the wings again!! !